When: First Thursday of every month, 8-10 p.m.
Oft-touring acoustic guitarist Daryl Shawn appears in Troy Hill at Scratch Food & Beverage on the first Thursday of every month. Scratch is located at 1720 Lowrie St. in Pittsburgh. The performance begins at 8:00 p.m. Admission is free, and admission is limited to those 21 and over. 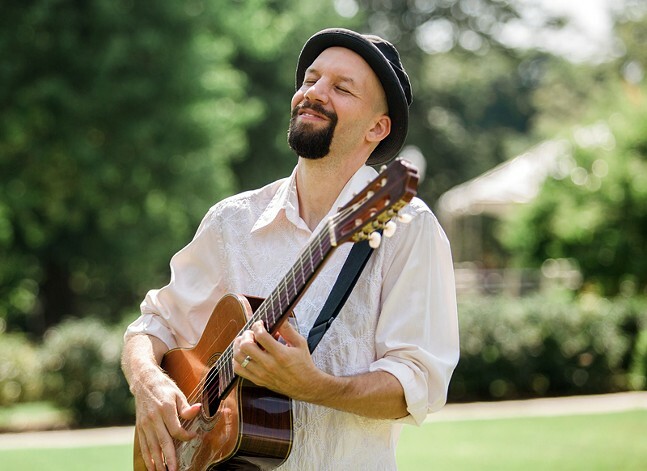 An alumnus of Boston's esteemed Berklee College of Music, Shawn creates the sound of a full band as he puts his own uniquely improvisational spin on familiar tunes, as well as his own original songs with influences from flamenco to African music.